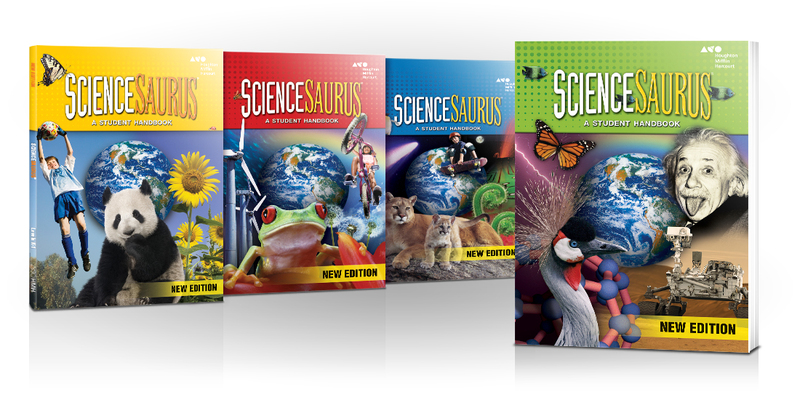 ScienceSaurus Student Handbooks are a multipurpose and adaptable resource for a variety of classroom uses including supporting core basal or science kit programs, as well as extending literacy time. With dynamic visuals and clear explanations, ScienceSaurus offers a great way to engage students while helping to build their literacy and vocabulary. 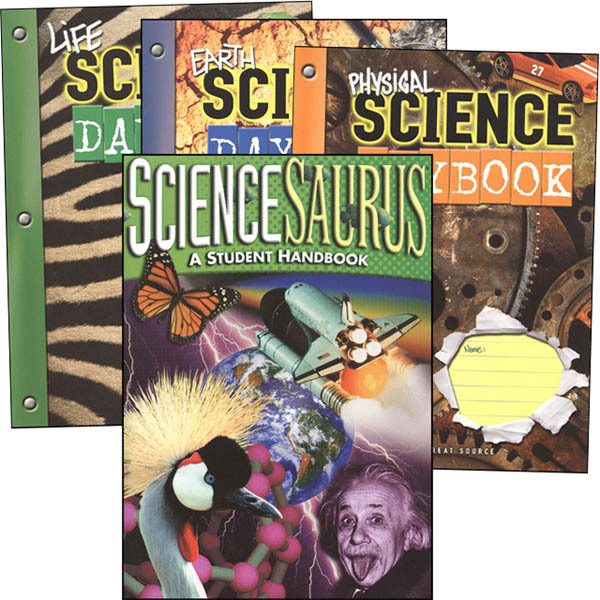 Science Daybooks provide real science reading that builds literacy! Asking questions as you read is a valuable skill in any subject area, but it can be pretty helpful in science! Sensing this need, Great Source has created Science Daybooks. Based on the National Science Education Standards and published in collaboration with the National Science Teachers Association (NSTA), Science Daybooks use high-interest, full color reading selections and reader response activities to help students investigate essential life, earth, and physical science concepts and apply scientific thinking skills. Each Student Book lesson engages students through real-life examples while helping them develop scientific inquiry, critical reasoning, reading, and writing skills.